Truth time -- I don't wear prescription glasses. I have 20/20 vision but for some reason I always wish I did. I don't know why honestly. I have a small collection of fashion glasses that I'll wear around, especially in my own apartment. I'm a little quirky like that. Even though it drives my fiance crazy because he wears glasses and well I don't need to. Anyway, when Firmoo reached out and asked me if I wanted to do a product review on a pair of glasses I thought why not I need to re-stock my fashion glasses. I'm fan of the nerdy/hipster style glasses, wide thicker frames fit my face better. And these are the nerdy glasses that I love. They are fit my face and feel rather sturdy. I also love that they come with a little eyewear repair kit. Whether you are buying perscription or for fashion Firmoo has what you need. 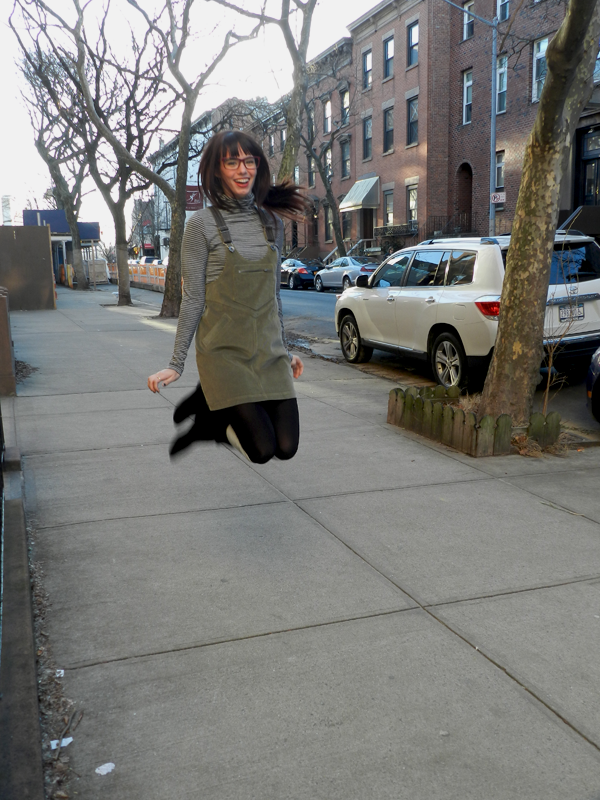 I love that you can "try on" glasses on their site by uploading a picture of yourself and seeing what you would look like with them on. It's a rather amusing tool. Also their glasses are super affordable! PLUS, your first pair of glasses are FREE! Check out how you can get your first free pair here. 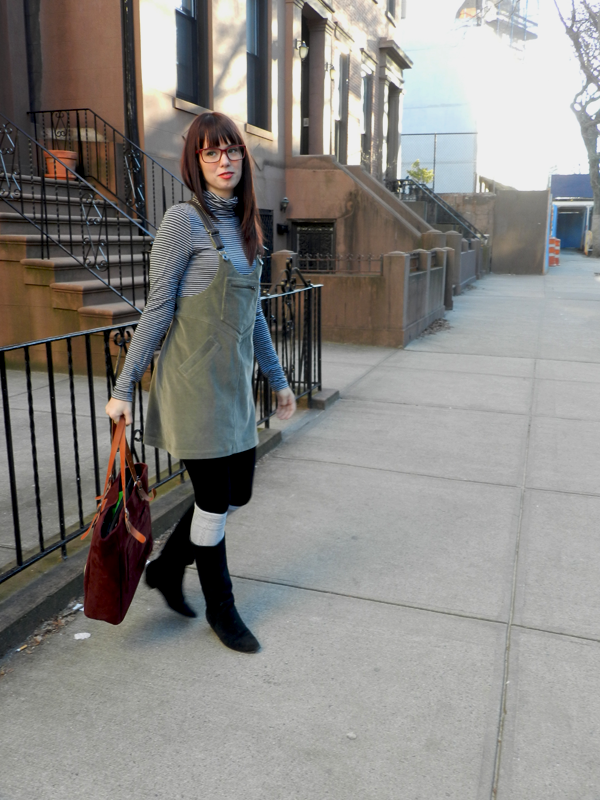 PS Can we talk about this adorable overall dress for a second? So I shouldn't be shopping AT ALL but I saw that the Theory sample sale had slashed prices even lower and knew I had to go check it out. Thank god I did, I bought this adorable overall dress for $33 (it was originally $260)...so basically it was free. O also, yes I dyed my hair...no more red head. I went darker for change. Are you a fan of fashion glasses or do you wear glasses? Love the striped shirt and that last pic - so cute! This is TOO cute – that jumper is awesome! wanna follow each other on GFC and Facebook? haha love the "nerdy" photo shoot especially the last pic. I had to wear glasses since 3rd grade, then moved to contacts in high school and then finally got Lasik about 6 years ago and never want go back!! Now glasses are "cool" dammit haha where were they when I was 10?! could you be any cuter? i think not. especially guessing by that last photo. - too cute! Lucky you to have such good vision, the glasses look great on you though! 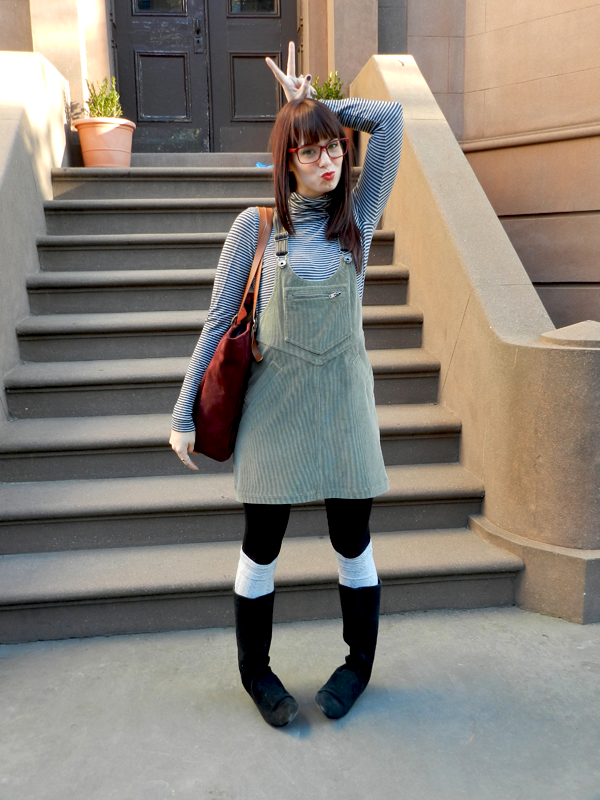 Love this super cute nerd chic look! 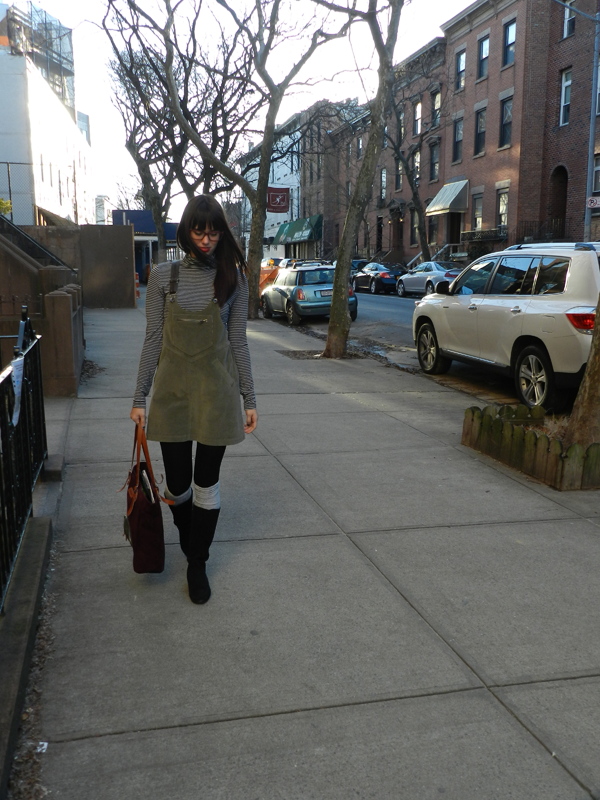 Ahhhh that overall dress<3 Want.